I recently made this Flourless Orange Cake twice in one week. It’s really quite tasty. Since it’s wheat free (for me) and sweetened with honey (for Bob), it’s a dessert that was enjoyed by the whole family on Easter. 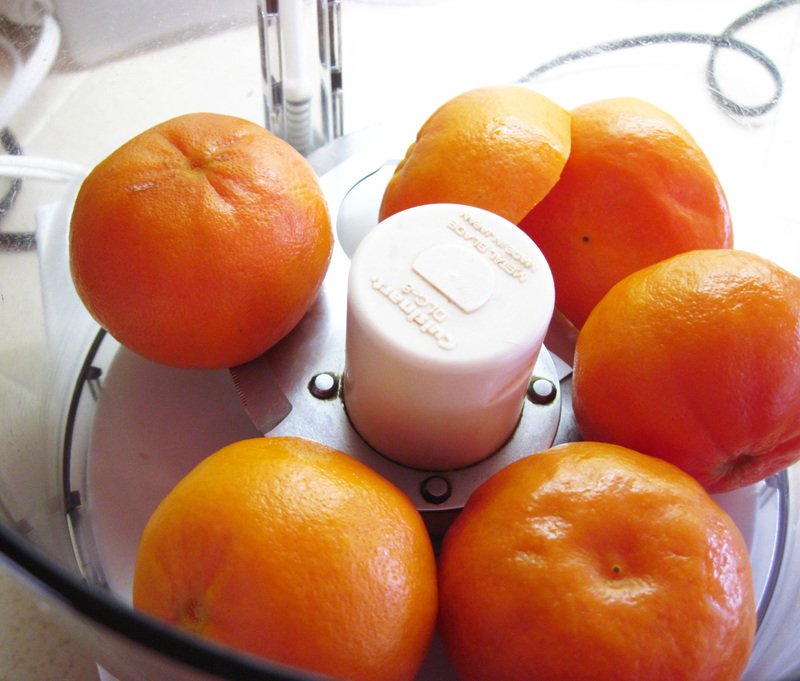 The first time I made it, I used 2 organic thin-skinned navel oranges. Following Elena’s lead (Elena’s Pantry), I used baking soda for leavening. It was great, but it rose quite a bit in the oven and then kind of collapsed in the middle. 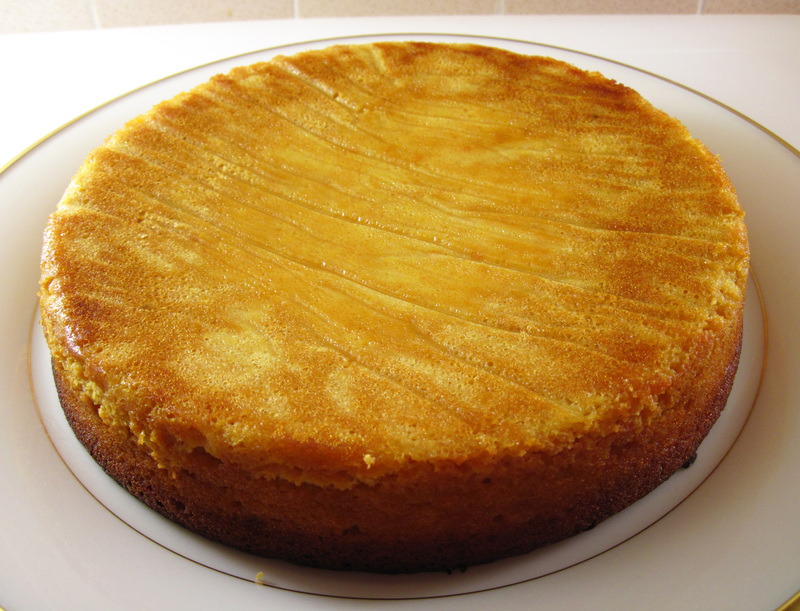 The second time I made it, I used 5 Clementine oranges and used baking powder as Deb does at Smitten Kitchen. I think the baking powder gave it a more even rise and a slightly better texture. I think I’ll stick with baking powder. I have concluded that it doesn’t matter what kind of oranges you use. Seedless are easier and it makes sense to me that you don’t want a thick rind like you find on some navel oranges. I may not be done tweaking this recipe, but it’s good enough to share now. If you’re looking for a flourless cake, this is easy to make and delicious. It keeps well for several days. I’m thinking about trying it with Meyer lemons soon! 2. 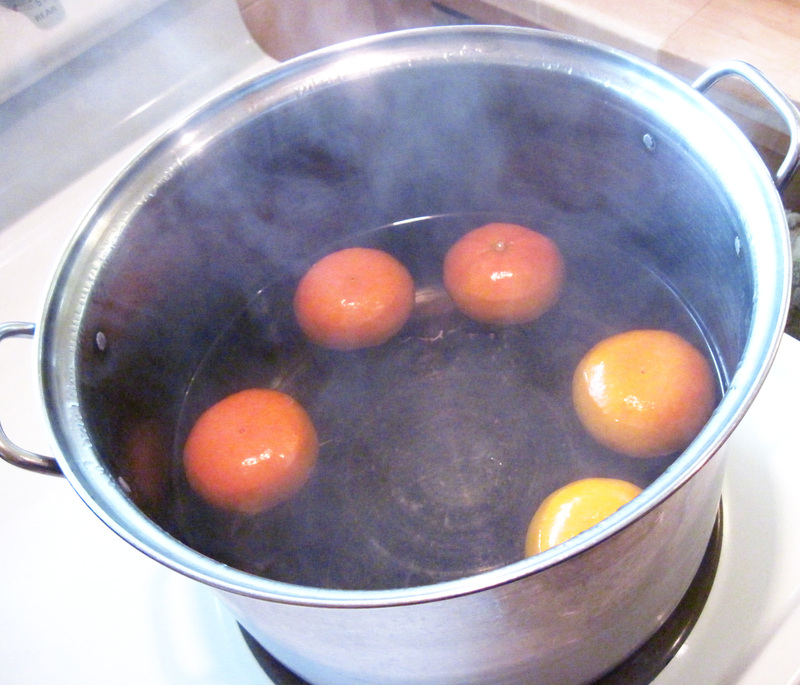 Remove the oranges from the water and let them cool. 3. Preheat the oven to 325˚. 4. Grease a 9-inch cake pan. Line the bottom of the greased pan with a piece of parchment paper and then grease the parchment paper. 5. 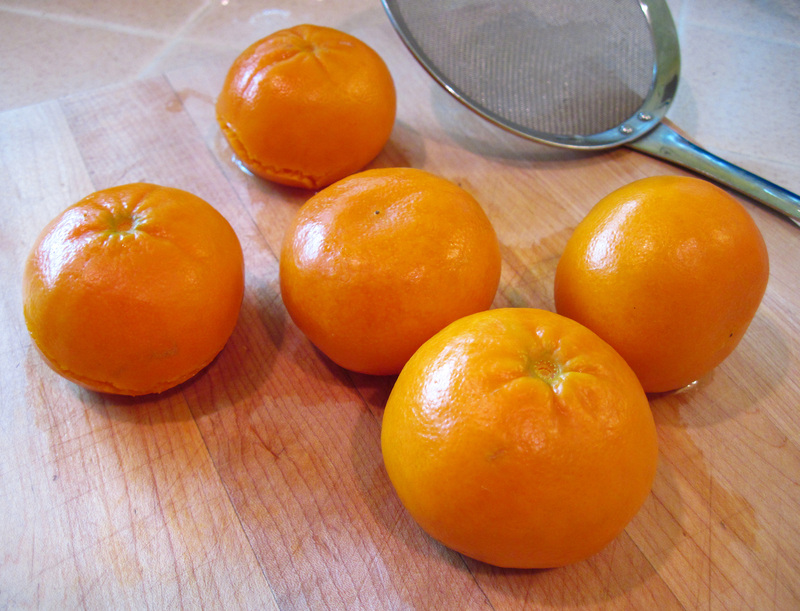 Cut the cooled oranges into smaller pieces* and remove any seeds. 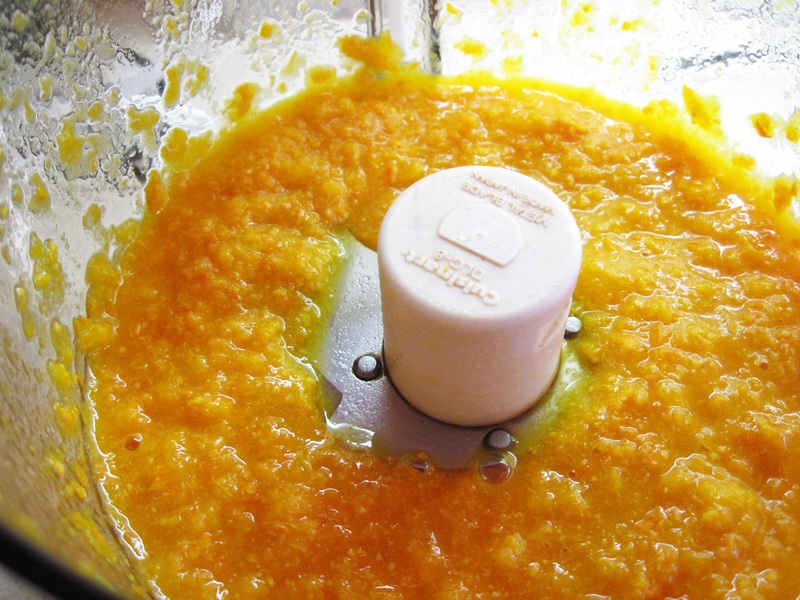 Put the orange pieces, rind and all, into a food processor and process until smooth. *After they cooled, I cut one of the oranges in half to confirm that they were seedless. 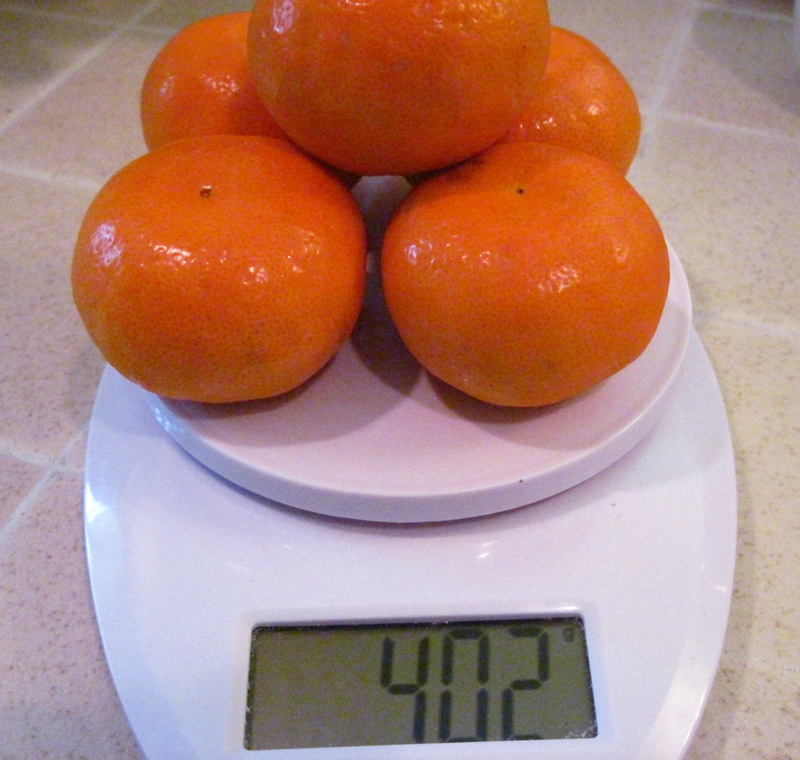 The clementines were small enough that I just processed them whole. 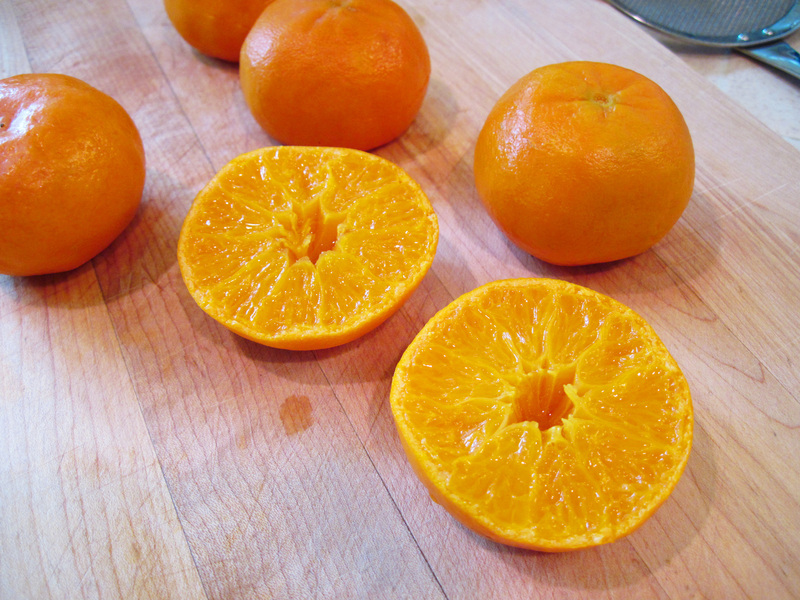 When I used the navel oranges, I quartered them first. 6. 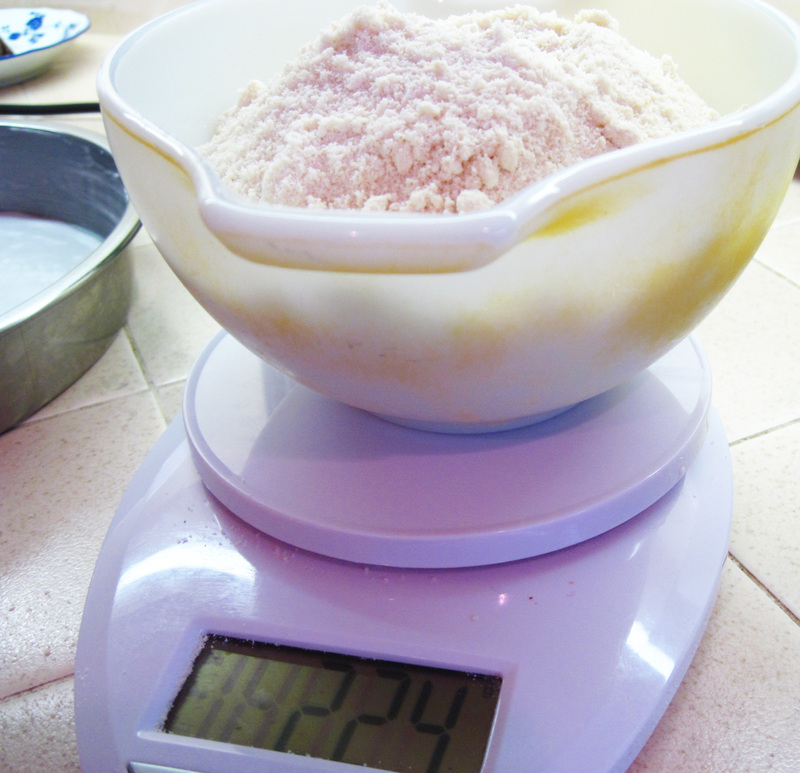 Add the eggs, honey, almond flour, sea salt, and baking powder to the food processor and process until everything is well-combined. 7. 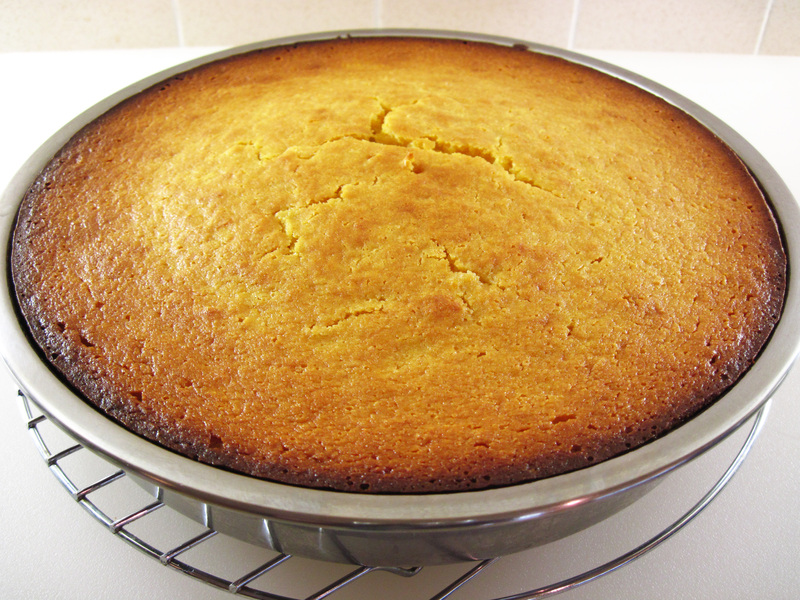 Pour the batter into the prepared pan and bake for about 50 minutes, or until a toothpick inserted in the center of the cake comes out clean. 8. Cool the cake completely on rack before turning it out on a serving plate. 9. Serve as is, or dusted with powdered sugar.